Don't be scared to ask the simple questions, to really know your host and the wine you're drinking just ask plenty of questions to get to know what you're drinking. There's no set list of questions to ask, express what you're tasting and how it smells. There is no definitive set of questions or phrases to use/say during a wine tasting. Instead you should approach a wine tasting party with an open-mind and a thirst for knowledge. We know for beginners the thought of a wine tasting session with experts, either side of you, can be daunting and often overwhelming. The best way to learn about wine is to taste it and then ask the questions that first spring to mind, even if they sound obvious. Wine tastings are fundamentally about sharing knowledge and enjoying wines. Above all else they are lots of fun! So whether you are unsure about what temperature to serve a bottle of red or what the wine’s ‘legs’ means, remember our simple motto: take a sip of wine and ask away. In fact, guides at vineyards or those hosting a wine tasting party like to be challenged. One thing we always like to know is why the host chose that particular theme, or perhaps that region of wine to taste. This helps you get to know your hosts likes and dislikes whilst learning more about wine. There are different views on whether you should share your opinion on a wine during a wine tasting party. This is partially due to the fact that others may feel influenced by your thoughts on a particular bottle or you indeed may feel less inclined to say you enjoyed that wine if the person next to you is strongly against it. We say, just see how the evening goes. Some wine tasting parties are formal and structured whilst others, let’s say, ‘keep the wine flowing and conversation going’. What foods would go well with it? If your host is familiar with a particular bottle it is always useful to know what food they pair with this wine. That way, if you like a wine, you can enjoy it in the comfort of your own home alongside a delicious meal or snack. - What kinds of varietals are grown at this winery? Which are most popular in the local area? - What have been the best vintages? - What is the winery’s volume of production? The answer will generally surprise people! If you go early then you will have the chance to speak to the owners or winemakers. You probably won’t have as much time or the opportunity once on the tour. Small wineries give you a fantastic insight into the production of wine from a small business or family-run point of view. Be open-minded and try new, unfamiliar wines. Genuine questions are always appreciated. If you show interest and enthusiasm towards the winemakers then they will be more than happy to answer your questions. Phony questions however are pointless, so don’t feel that there is a need to just ask anything. Never feel pressured into buying huge quantities of wine. It is also important to note that wines will never taste quite like they did in the winery, when you were surrounded by the smells and sights; caught in the wine moment. It is not so easy to replicate this atmosphere and setting when you are back at home. Learning about wine is an on-going experience and it cannot be answered or covered in a few hours or by a couple of quick fire questions. Enjoy yourself and be curious, this is the best way to enjoy your wine tasting. We suggest hosting your own wine tasting party at home as this can open up a whole world of wines (literally) and is an extremely enjoyable evening with a close group of friends. 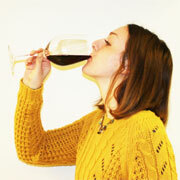 See our ‘Wine Tasting Party at Home Guide’ for more information.